I was born in Manhattan in New York City. Raised in the suburbs. Have lived in Michigan, Cincinnati, got married in Connecticut and moved to New Hampshire in 1988 to raise a family. I work with oil paints because they make very durable art. I like to work on a canvas surface that is quite rough. I work my brushes so very hard I wear them out quickly. I usually first paint a base of a warm color, such as orange, and paint on top of that. The orange peaks out all over. My work is realistic, and also a bit ethereal. My husband jokes that English is my second language because my visual senses are very heightened. I’ve done set design, graphic design, website design but now I focus on my studio practice full time. What are the primary ideas you hope to express in your work? That there is energy in nature all around us. My work is approachable because it displays familiar views, but the subtext is the chi, the energy of the skies, clouds, landscape views. I would like people to perceive that the earth is breathing when they see my work. What is the role of Art in the community in your opinion? Art conveys ideas and perspectives to share, enjoy, discuss. It can be uncomfortable, it can be compelling or confrontational, but great art is always memorable. Always uplifting. In Nashua, NH we have the Art Hub Gallery on Temple Street and I love the NH Art Association Gallery in Portsmouth, NH. 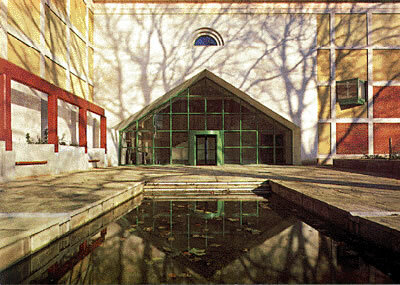 Clore Gallery at Tate Britain in London. Filled with Turner’s magnificent paintings. I have been multiple times to inhale these masterpieces. 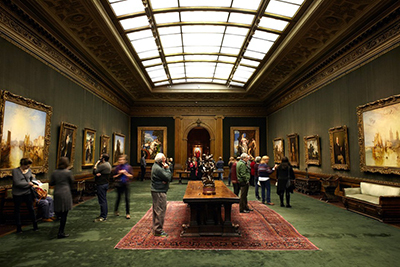 I also love The Frick Collection in NYC. I once met their librarian outside the Met on a park bench eating lunch. What a treat! What has been the biggest challenge in your experience as an artist? What do you love the most about working as an artist in New Hampshire? New Hampshire is a great place to ride a motorcycle from which I get inspiration. The air is so fresh and the light clear. The changing seasons always keeps us on our toes in anticipation and enjoyment. I like being connected with the creative community here to support other artists. Try lots of different media. Experiment. 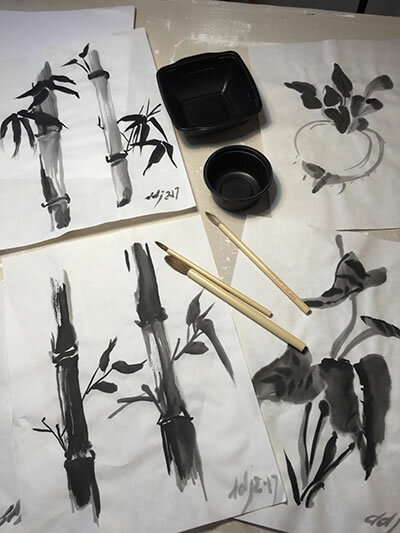 I am working with Japanese brushes on paper right now with very black ink called Sumi to loosen my hand and focus on the stroke.